Due to some requests, Order of Zeronos, one of the tokusatsu fansubbing groups just released a Showa Kamen Rider series, Kamen Rider X! The release is just in time to enjoy your Christmas Eve. Kamen Rider X is 3rd Kamen Rider series aired back in 1974. Robotics scientist Keitaro Jin and his son Keisuke become caught up in the campaign of terror by an evil organization known as "G.O.D.". They are attacked and the professor's technology stolen, but before Keitaro dies, he is able to perform surgery on his son. With the last of his robotics technology, he transforms his son into Kamen Rider X to avenge his father's death and ensure the safety of the entire world, he battles the monstrous minions of G.O.D. 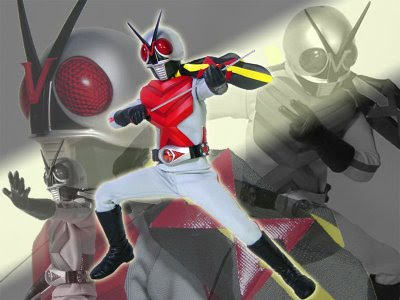 Download Kamen Rider X at Order of Zeronos!